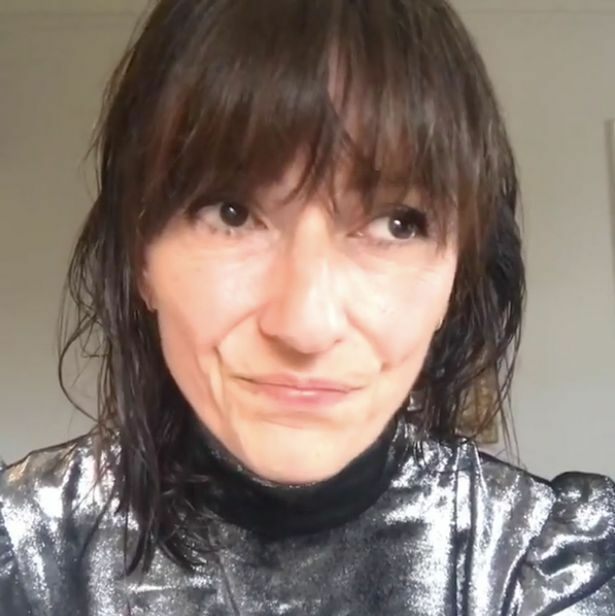 She may have already turned 50, but Davina McCall is proving with her recent ventures that age is nothing but a number! It’s not hard to notice what with how many fitness DVDs and healthy eating books she’s brought out in recent times, but Davina has always been very passionate about fitness and health. Before Christmas, the star presenter said that she was going to train as a PT instructor, and it hasn’t taken long for the host and all round inspiration to make good on her promise and begin the process! As she inspires legions of fans and followers online, the mum of three has already kept the Davina faithful up to date on her first session. Davina uploaded a video to Instagram which showcased her doing some very impressive bum squats with a weightlifting bar across her shoulders. But despite many people worrying that her new found calling in personal training would mean that she would be leaving behind her presenting duties on TV, she made sure to make a note of the fact that while she was undertaking something new, she wouldn’t be leaving her TV career behind. She said: “I love learning … the older I get …the more I realise how much more I have to learn …. getting a qualification is to prove to myself what I’ve already learned and to open myself up to lots of future opportunities! And more learning!!! As soon as the video was put up on Instagram, fans flocked to the post to show their love and support, as they cheer her on for the presenter as she constantly improves herself! “You look fantastic such beauty” gushed another fan. Other people had similar experiences, and also went to Instagram to ask advice on their own journeys. Her new calling comes after Davina’s marriage to Matthew Robertson came to an end earlier this year after 17 years. Davina and her Pet Rescue presenter husband, 48, decided to split after years of counselling. She shared a motivational quote with her online followers on Friday which said: “Every morning we get a chance to be different. A chance to change. A chance to be better. According to The Sun, a source said: A source said: “This is a devastating time for Davina. She has been very open about how hard she has worked to save the marriage for so many years. The couple’s career paths changed dramatically since their marriage in 2000, as Matthew, a former TV presenter, left the small screen behind to open travel business, while Davina became one of the most recognisable faces on British TV. The TV star has been very open about their relationship over the years, as she said back in 2015 that she kept her husband satisfied in the bedroom so that he would not be tempted to stray. Jeremy Kyle floored during fight with guest...But Viewers have little sympathy for Jeremy.